Research on conflict and ‘terrorism’ is confronted by an expanding range of daunting ethical, methodological, and institutional challenges. One of these is the increasing involvement of university ethics and fieldwork safety committees in ‘managing’ researcher safety and security as an issue which requires institutional oversight, control, and approval. 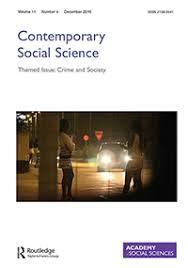 This paper contributes to contemporary reflection on and conversations about social sciences fieldwork in what is deemed to be an increasingly dangerous world. It focuses specifically on the increasing application of institutional ethics and safety review processes to ‘dangerous’ fieldwork on socio-political violence. While these new restrictions are clothed in the language or idiom of ethics and worker safety and security, a political analysis suggests that these committees represent powerful institutions of censorship and control, a serious challenge to academic freedom, and even movement towards the recolonisation of social science research. This paper describes and addresses this threat, and offers a constructive proposal for potentially responding by the development of risk assessment and management protocols which may contribute both to researcher survival in perilous field sites and help researchers to negotiate the necessary approval by university ethics and safety committees. Previous story Foreign Fighter Returnees: An Indefinite Threat?